Madrid's Barajas Airport is about 15km north-east of the city. 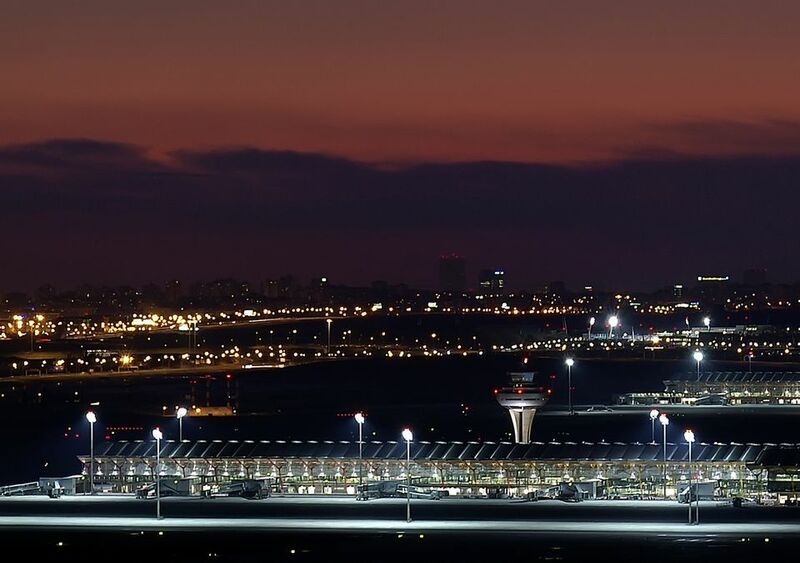 If you're traveling to the city, Barajas might be your best bet as it is well-connected by road and public transport. But as with all airports, it can sometimes be tricky to navigate getting there from the city center, especially if you find yourself pressed for time. Here's a quick guide on how to transfer from Madrid airport to the center of the city by public transport and private car. Terminals 1, 2 and 3 of Barajas are all close together, but Terminal 4 is set apart from the main airport. If traveling from Terminal 4, see our post entitled Madrid Airport T4 to Madrid City Center Transfer. Airport Express: The Madrid Airport Express bus goes to and from Atocha train station via Plaza Cibeles (home to Madrid's iconic post office and walking distance from Sol, Madrid's main square). It runs 24 hours a day, every 15 minutes or so. The journey costs five euros. Atocha is the main train station, with connections to the south and east. It is also close to the main bus station. Find out which station you need with our article Madrid Bus and Train Stations . This new bus service is cheaper than the metro, stops more centrally, and runs 24 hours a day. However, the metro leaves slightly more often and may be quicker, depending on where you want to go. if you are staying near Santiago Bernabeu (Real Madrid's stadium) or the business district (around the Nuevos Ministerios), the metro will be better. Bus: The older bus route still goes to Avenida de America, but its unlikely to be the best destination for you. The even older 89 bus route to Plaza de Colon has been discontinued. Taxi: Pick one up from outside the airport and make sure it has a white taxi with a red stripe on its door - any other car and it's illegal. The price of a taxi from Madrid airport has now been fixed at 30€. A private transfer is the most convenient way to get to the center, but of course, it is the most expensive. Madrid is big and the last thing on most people's minds when they arrive is to try to navigate a new city with all their suitcases with them. Add to that the fact that there are still incidents of taxi drivers scamming passengers from the airport and you might feel more comfortable with a private transfer. This service is available 24 hours a day, which makes it even better if arriving on a late night flight. Driving in Madrid can be scary, but if you're feeling brave, it is the most convenient option (until you try to find a parking space!) You can easily find a car in Madrid by using Priceline.